Published August 8, 2014 at 866 × 803 in Celibidache front book cover. 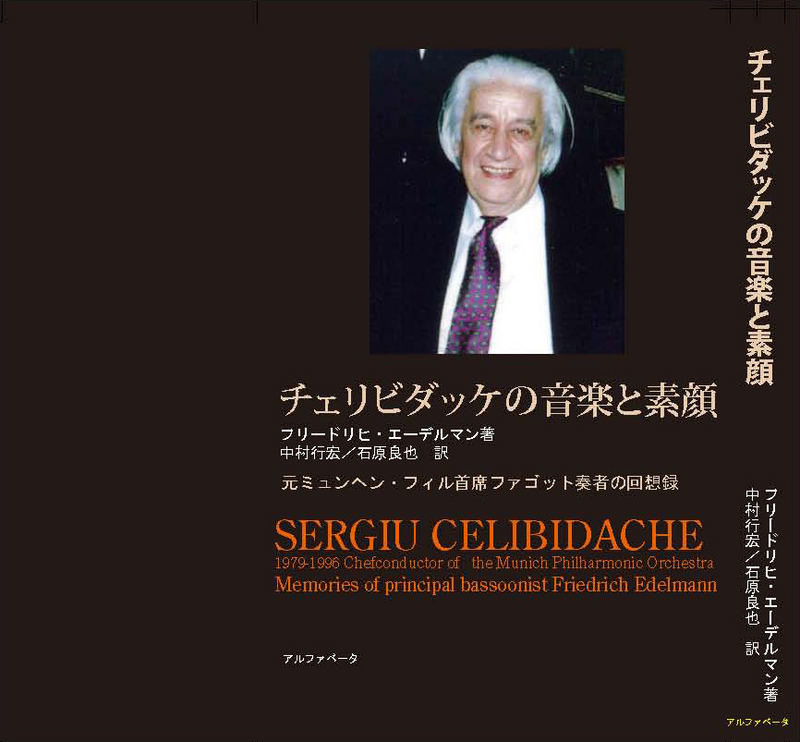 front cover, “Sergiu Celibidache: Memories of principal bassoonist Friedrich Edelmann” Japan, 2009.
phrasing, of starting and ending together. he would say: “Here you have to start with an up-bow”. of which makes the start of the sound much softer and less direct. much better “together” than before and subsequently also better in tune. a pizzicato being a string plucked with the finger. not hear the two separate instruments any more but a new single sound. results with orchestras, which were not the most famous and most brilliant. of the quality of the single players. an additional raise for the principle wind players. a higher fee, Celibidache required the same fee. dynamics was written “piano”, depending on the acoustics of the hall. of the doubling, sometimes even in the concert on the spot. they could immeditately react if he gave a sign. Woe if they didn’t! so that for instance the brass was not overpowering anymore. to adjust to the other parts. and even in “piano” places.